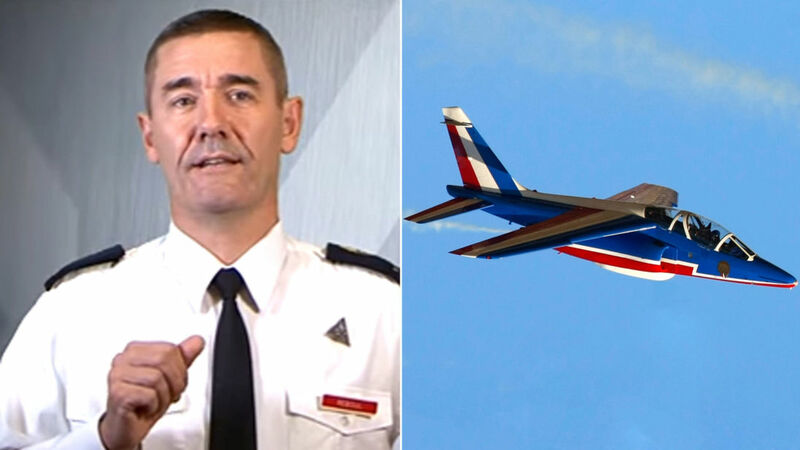 The acting chief of the French air force has been accused of using a fighter jet to commute home at weekends. General Richard Reboul is alleged to have used an Alpha Jet at least 10 times over the last year, flying between his workplace in Bordeaux to his weekend property in Provence. Flying at its maximum speed of 620mph (1,000kmph), the jet would have been able to complete the 327-mile trip (600km) in just half an hour. The commute would normally take around seven hours by train, six hours by car or an hour by conventional plane, followed by a 30-minute car ride. Using around 800l (176 gallons) of fuel per hour, French satirical newspaper Le Canard Enchaine estimated the fighter jet journeys could have cost the air force and French taxpayers tens of thousands of euros over the past year. The alleged misuse came to light after General Reboul switched to a small military transporter for his trip, along with a pilot and co-pilot, who are said to have dropped him off and returned to collect him on Monday morning, the Canard reported. France's new defence minister, Florence Parly, has ordered an investigation, saying there would be "consequences" if the alleged "abuse of resources" is confirmed. General Reboul stepped in as interim air force chief after his superior, General Serge Soulet, died in May. Alpha Jets are normally used for training purposes and light attack missions, and additionally perform in Patrouille de France, the country's aerobatic display team.